Our business is called V.I.P. Fitness because every one of our members is very important to us! Is this something I really want to do and am willing to work hard to achieve? Do I have enough time and availability to attend sessions on a regular basis? Am I ready to make lifestyle changes that will help me succeed? Am I open minded enough to take instruction and make the most of it? Is this a subject area that I’d really like to learn about and improve upon? Do I have a good support system in place to help me and not hinder my efforts? If you cannot answer “yes” to all of these questions you may want to do a little work to improve your situation before embarking on a full spectrum program. 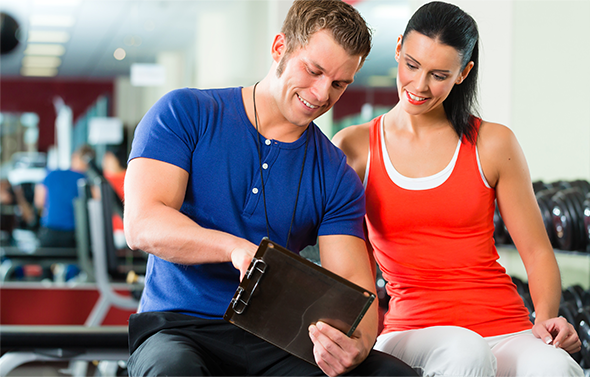 A great Personal Trainer can do many wonderful things for you but they can’t get you to your sessions and they can’t do the work for you. The fitness industry is filled with passionate individuals who love to see people look better, feel better, and live more fulfilling lives. We are ready to bring our 50% to your next session. Are you?